Medical marijuana is now also an affirmative criminal defense in Maryland | Jon Katz, P.C. Medical marijuana now is not only a possible sentencing defense in Maryland, but also a possible affirmative defense against a conviction, effective June 1. 2011. Here is the Marijuana Policy Project’s May 17, 2011, report on the law. The Maryland legislature’s webpage provides the text of the law at pages 232-67 here. (b) Information that is communicated to a physician in an effort to obtain a controlled dangerous substance in violation of this section is not a privileged communication. (c)(1) Except as provided in paragraphs (2) and (3) of this subsection, a person who violates this section is guilty of a misdemeanor and on conviction is subject to imprisonment not exceeding 4 years or a fine not exceeding $25,000 or both. (3)(i) 1. In this paragraph the following words have the meanings indicated. 2. “Bona fide physician-patient relationship” means a relationship in which the physician has ongoing responsibility for the assessment, care, and treatment of a patient’s medical condition. 2. Notwithstanding paragraph (2) of this subsection, if the court finds that the person used or possessed marijuana because of medical necessity, on conviction of a violation of this section, the maximum penalty that the court may impose on the person is a fine not exceeding $100. C. marijuana is likely to provide the defendant with therapeutic or palliative relief from the debilitating >medical condition. (13) expert testimony concerning use of the object. (b) The innocence of an owner or a person in control of the object as to a direct violation of this section does not prevent a finding that the object is intended for use or designed for use as drug paraphernalia. (ii) inject, ingest, inhale, or otherwise introduce into the human body a controlled dangerous substance. (ii) for each subsequent violation, imprisonment not exceeding 2 years or a fine not exceeding $2,000 or both. (3) A person who is convicted of violating this subsection for the first time and who previously has been convicted of violating subsection (d)(4) of this section is subject to the penalty specified under paragraph (2)(ii) of this subsection. (4)(i) 1. In this paragraph the following words have the meanings indicated. (ii) 1. In a prosecution under this subsection involving drug paraphernalia related to marijuana, the defendant may introduce and the court shall consider as a mitigating factor any evidence of medical necessity. 2. 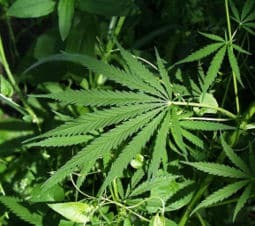 Notwithstanding paragraph (2) of this subsection, if the court finds that the person used or possessed drug paraphernalia related to marijuana because of medical necessity, on conviction of a violation of this subsection, the maximum penalty that the court may impose on the person is a fine not exceeding $100. (3) A person who is convicted of violating this subsection for the first time and who previously has been convicted of violating paragraph (4) of this subsection is subject to imprisonment not exceeding 2 years or a fine not exceeding $2,000 or both. (4) If a person who is at least 18 years old violates paragraph (1) of this subsection by delivering drug paraphernalia to a minor who is at least 3 years younger than the person, the person is guilty of a separate misdemeanor and on conviction is subject to imprisonment not exceeding 8 years or a fine not exceeding $15,000 or both. (e)(1) A person may not advertise in a newspaper, magazine, handbill, poster, sign, mailing, or other writing or publication, or by sound truck, knowing, or under circumstances where one reasonably should know, that the purpose of the advertisement, wholly or partly, is to promote the sale or delivery of drug paraphernalia. (c)(1) Except as provided in paragraph (2) of this subsection, the Board may not reprimand, place on probation, or suspend or revoke a license of a licensee for providing a patient with a written statement, medical records, or testimony that, in the licensee’s professional opinion, the patient is likely to receive therapeutic or palliative relief from marijuana.